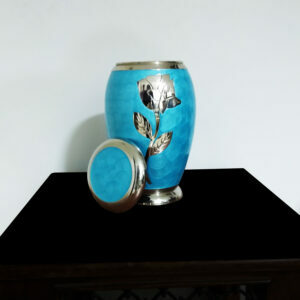 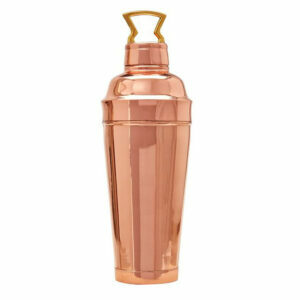 This beautiful brass cremation urn is handcrafted to store the cremation ashes of your loved family member who just passed away. 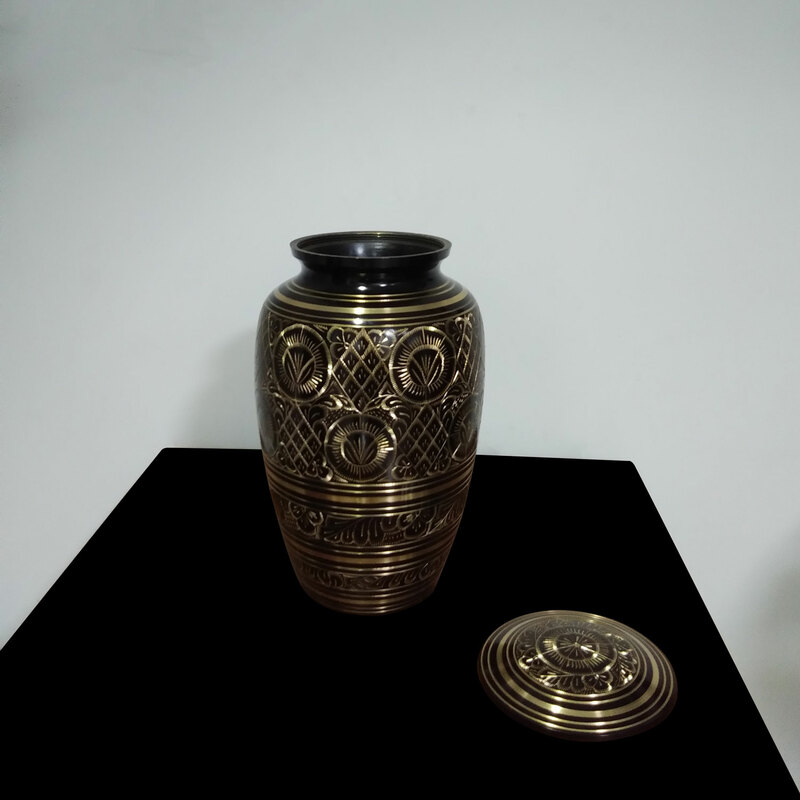 The beautiful gold engraving stands out especially well against the black background. 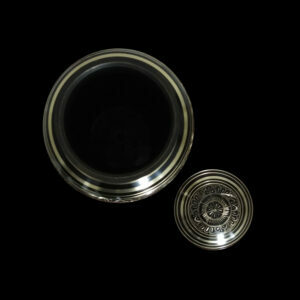 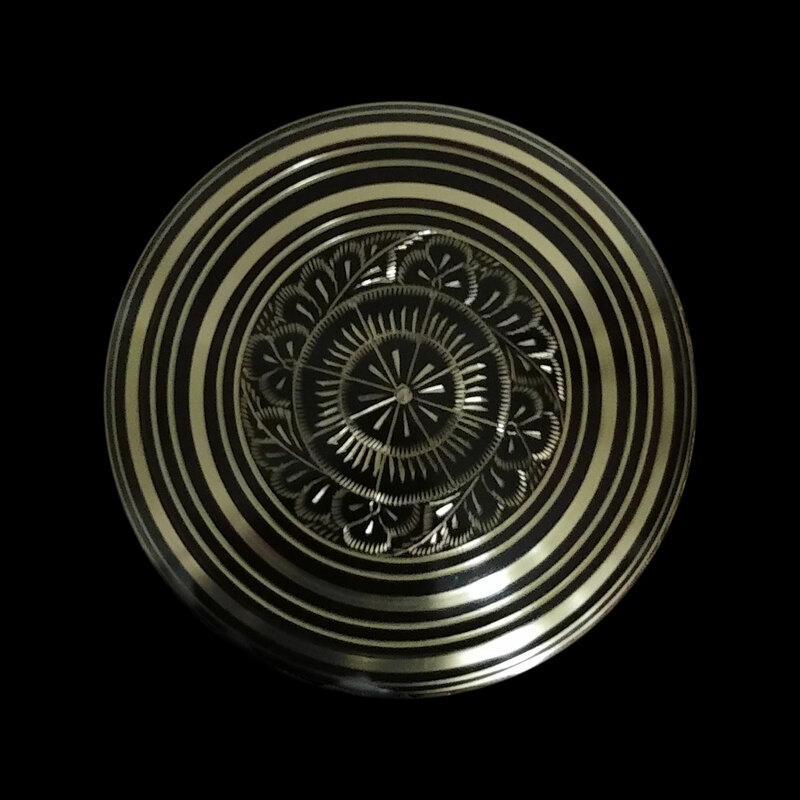 Dimension: 6.25″ diameter, 10″ height. 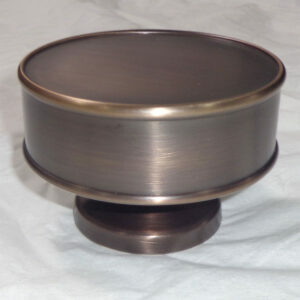 Threaded lid for the secure closure of the urn. The Black Brass Cremation Urn is a ceremonial cremation urn used to store the ashes of a loved family member who just passed away. 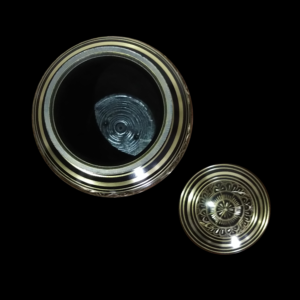 The handcrafted detailed gold engraving features medallions, flourishes, and ceremonious encircling bands. 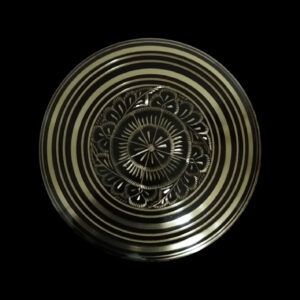 The pattern of gold engraving stands out especially well against the dark black background. 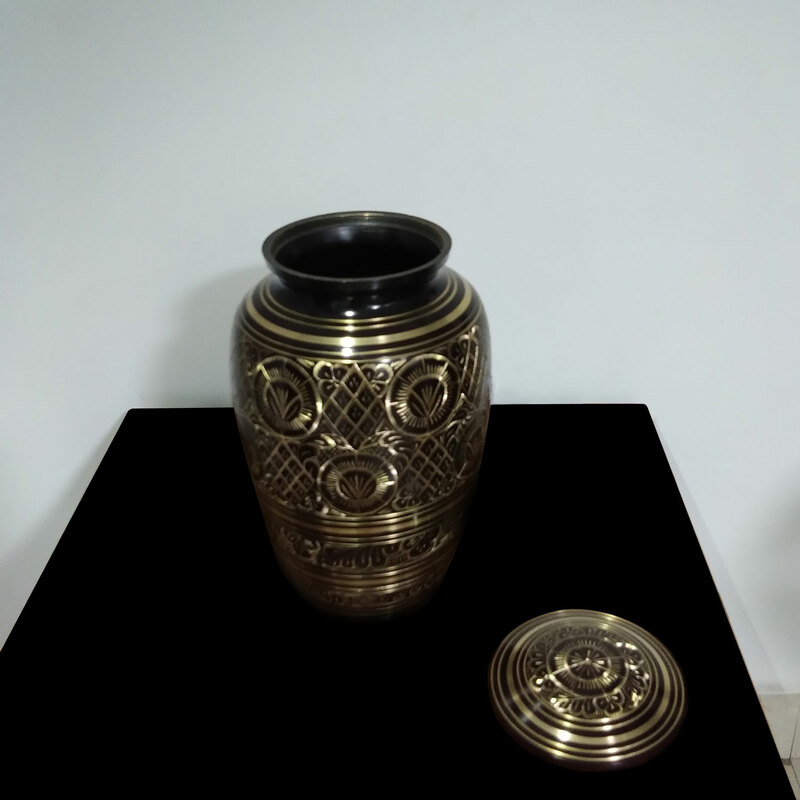 Made of strong brass metal, the Black Brass Urn has a classic shape that is ideal for families carrying out cremation ceremony of their loved one. 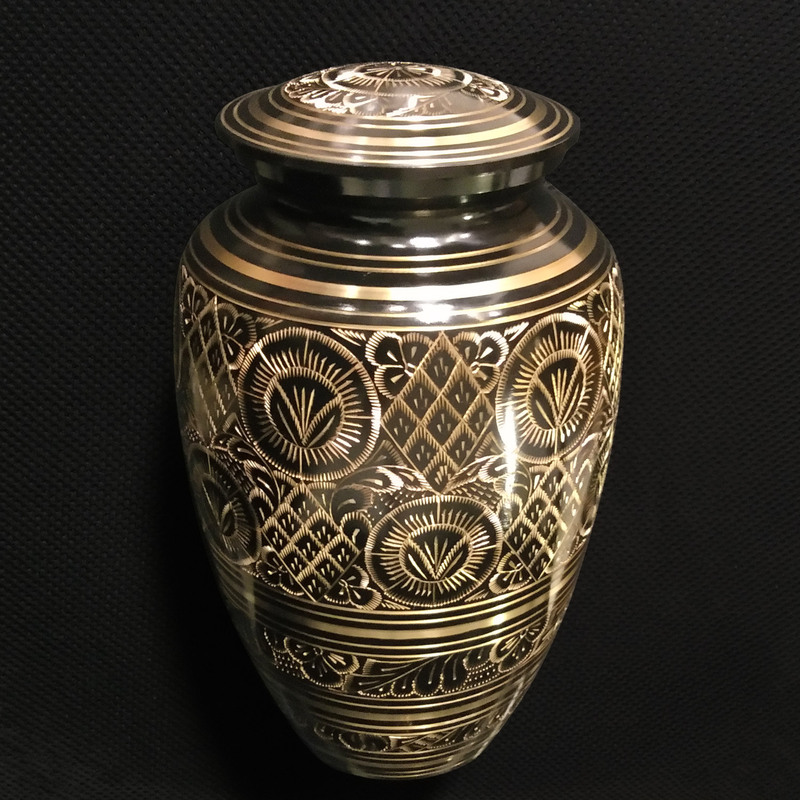 The lid is threaded for secure closure of this urn. 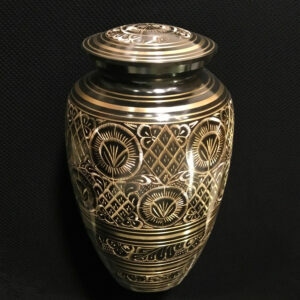 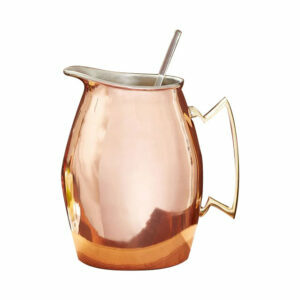 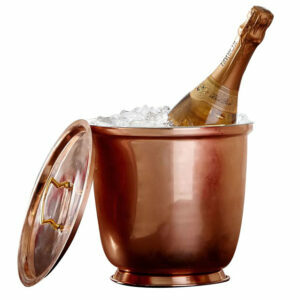 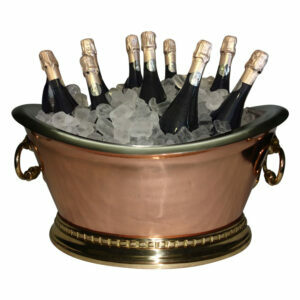 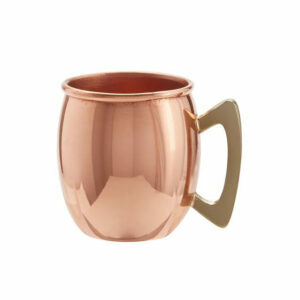 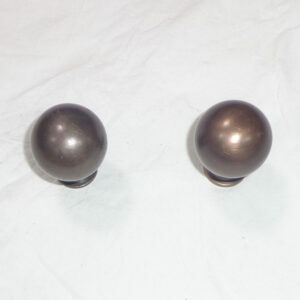 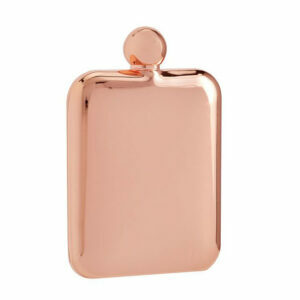 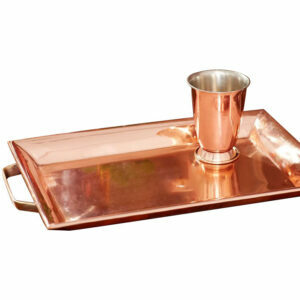 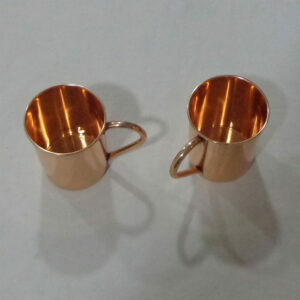 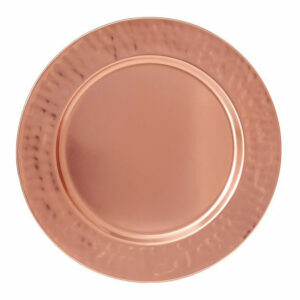 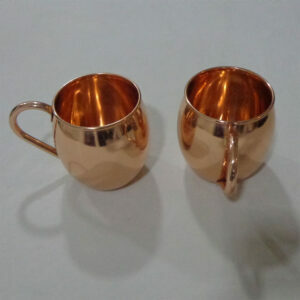 The brass construction makes it extremely durable over time whether kept at home or buried. 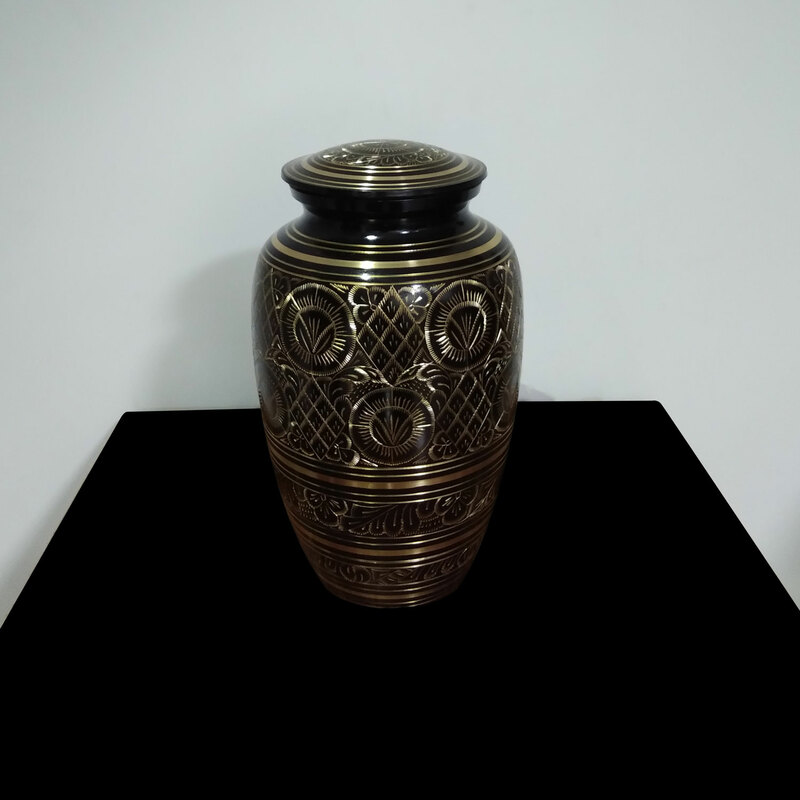 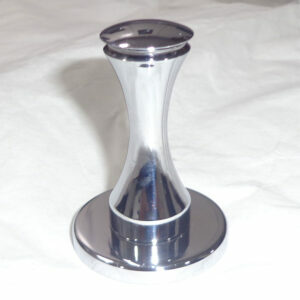 The Black Brass Urn is a standard adult size urn which will hold the ashes of a person who weighed 84 kg. 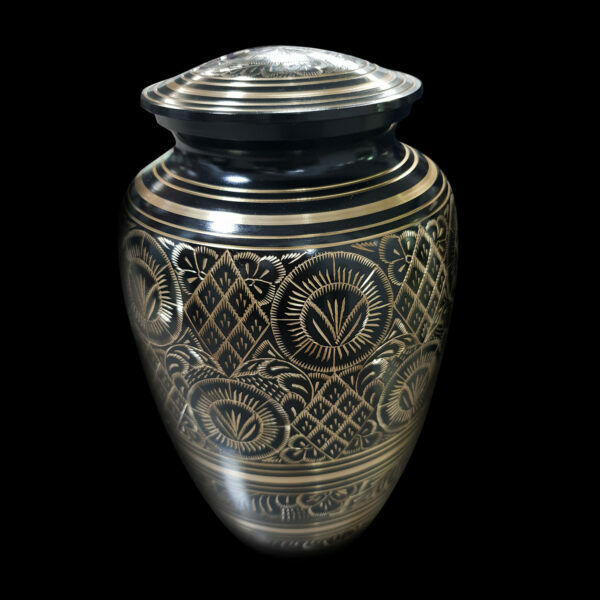 or less prior to cremation.